My top buy was the Beauty Bar Soap in Lemon Zing. I use it as a hand and body soap, and to wash my makeup brushes. The natural lemon scent is so fresh, and the addition of cornmeal provides some gentle, but effective exfoliation (much like my beloved LUSH "Let The Good Times Roll" cleanser). At $7, this big bar of soap will last forever. My mom has been enjoying hers too! Next up are the lotions. Lemon Meringue is practically dessert in a bottle, and has a bunch of awesome ingredients. Aloe juice, avocado oil, coconut oil, green tea, lemon peel oil and vanilla. Yum! The Today Unscented Lotion is the first "unscented" lotion I've tried that literally has no fragrance. In addition to being a fantastic body lotion, $4 from sales of each bottle ($22) go directly to the Causemetics campaign: a movement by the Canadian Breast Cancer Support Fund designed to raise money to help financially challenged breast cancer patients across Canada through the sale of healthy beauty products. Similar to the Pelle Beauty Luxe Beauty Balm I mentioned in my previous post (linked here), Ella has created a line of "Amazing Balms" to treat any skin concern: muscle pain, diaper rash, acne, itching and general dryness. At $20 per tin, these balms can easily take the place of every $5 drugstore balm in your arsenal (and will probably work a lot better). Need a baby gift? Ella's Botanicals has an entire range of baby-safe products that are totally suitable for everyone. (There's no weird powdery smell.) Shop here! 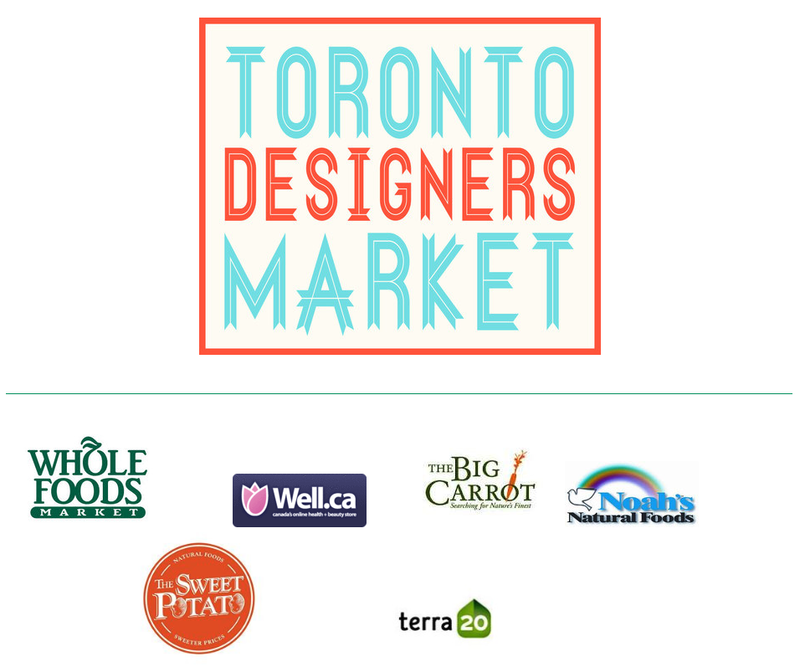 You can find Ella's products at the Toronto Designers Market on Queen West (1605) which is a semi-permanent shopping attraction featuring 30 amazing local artisans. Various other retailers which carry Ella's line are listed below. Visit Ella's Botanicals to shop online here. Don't forget to like her Facebook page to stay up-to-date and follow her on Twitter & Instagram @EllasBotanicals. It's never too late to start shopping local!